Mineral Render is a dry-mix, thin coat render, most often used in the winter for ease and convenience. This is the most effective render choice if you live in a cold or rainy climate owing to its extremely fast drying time and excellent performance. This render requires painting afterwards with our silicone paint to seal the system and protect it against the elements. Available in a range of grain sizes for a textured finish, including 1mm, 1.5mm, 2mm and 3mm. 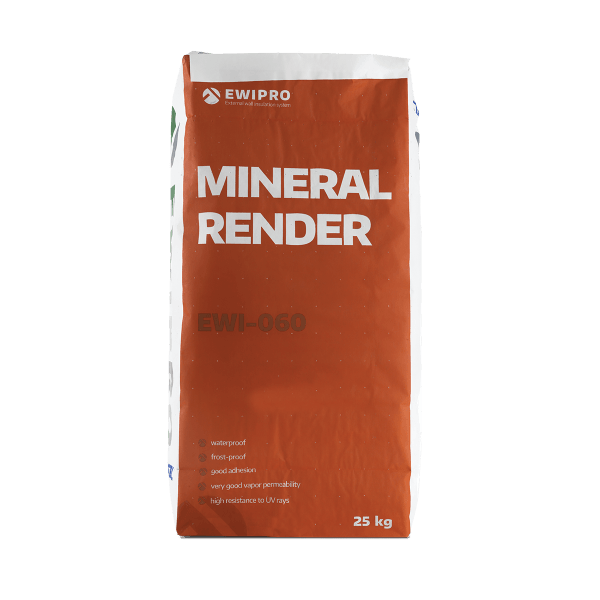 Mineral Render is a dry-mix render. 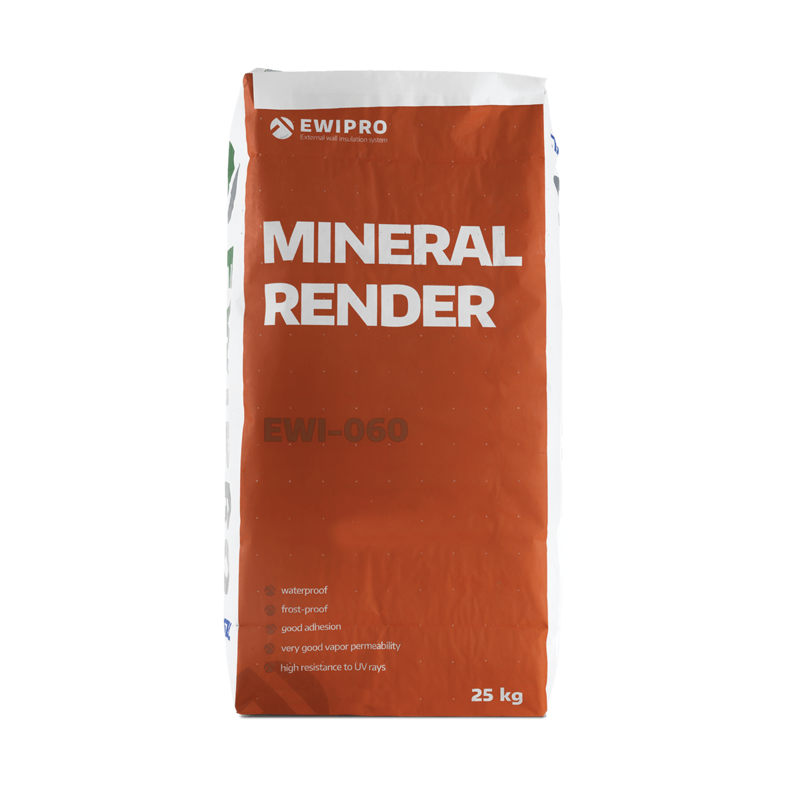 This product is designed to be either applied by hand or mechanically as part of an EWI or render-only system. The render needs to be sealed with an approved silicone external masonry paint to ensure that the product performance is consistent. Mineral Render should not be applied if any of the materials – or the substrate – are frozen, or if there is any risk of frost damage within the first 24 hours. Setting time is typically 24 hours, although this is dependent upon environment and humidity.